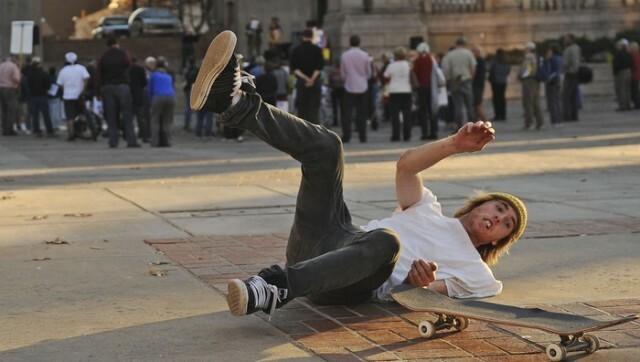 So the Onion has a hilar­i­ous arti­cle about the Nation’s Amateur skate­board­ers. In case you didn’t know, the Onion is satire. Some peo­ple have no idea! Nation’s Amateur Skateboarders Haven’t Landed Trick In 12 Years | The Onion — America’s Finest News Source. Going to a spot and see­ing some­body miss the same trick thirty four times in a row, makes me feel like I’m kind of almost a good skater. That last com­ment makes me feel pompous and snarky. Some day I’ll learn to keep my mouth shut.